1. Woodbridge School, July 2003. I was traveling around Hungary in the summer of 2003 when my mate Ben unexpectedly asked me if I’d be interested in working at an English language camp back in the UK. We were sitting in an Internet café somewhere in the city of Sopron and he’d just received word that a teacher had pulled out at the eleventh hour. “Are you up for it?” A few weeks later I found myself rocking up in Woodbridge, a quaint English market town in East Anglia. The camp was based in the extensive grounds of Woodbridge School, with all the facilities you could hope for, including tennis courts, a football field, a domed sports hall, a lecture theatre, modern classrooms and two halls of residence housed in a pair of striking Victorian buildings. As one of the camp’s four English teachers, I found myself with two classes of Belgian teenagers, who for the most part were a dream to work with. This shot was taken in the school quadrant and features all students, teachers, sports/activity assistants and camp headmaster. Where’s Leighton? 2. Woodbridge School, July 2004. I had so much fun that first year and made so many friends that I jumped at the chance to return the following summer. One of the great things about Woodbridge was that we were always encouraged to be as creative as possible, to think outside the box, just do that crazy idea and see if it works. In one class we read an article about Michael Jackson, which the kids loved and served as the platform for a fiercely contested debate about the merits of his music and the controversial details of his personal life. The following day, I decided to turn up as Michael Jackson and have the kids interview me. So I waltzed in with thick white makeup, a black wig, a costume patched together from the drama department and a homemade fake nose that fell off several times during my interrogation. I also suffered the indignity of attempting to moonwalk. Epic fail. 3. Woodbridge School, July 2005. On the final night of my third year at Woodbridge, the staff decided to put on a show for the kids. It quickly became a highly anticipated event that we initially christened Woodbridge Idol, before shortening it to the altogether catchier WIDOL (“widdle”). Those not involved in performing served on the panel of judges, with one teacher gleefully taking on the mantle of the nasty one. Teaming up with my mate James and a Belgian teen called Wieland, we formed a three-piece punk band and named ourselves Organised Chaos. In the ten days or so building up to the show, we held nightly practice sessions for the two songs we’d be covering: I Get Along by The Libertines and The Kaiser Chief’s Every Day I Love You Less and Less. It was so much fun; Wieland was an excellent drummer, James a highly competent guitarist. Then there was me, belting out the songs as best I could in lieu of any actual musical ability. Come the big night and the three of us put on a barnstorming concert, the front row of the audience actually moshing. But that didn’t stop us losing the overall vote to Annelies and Pieter, who mimed and danced to some cheesy number from Moulin Rouge. Not that I’m bitter. 4. Woodbridge School, July 2005. The daily singalong in the school quadrant was a key Woodbridge tradition, with classes taking it in turns to perform. In the early years I oversaw stirring renditions of Solomon Bites The Worm by The Bluetones and The Lightning Seeds pop gem Sense. Although I admittedly have no idea what the tune in this photo was, it’s always made me smile because of Pierre, our beloved headmaster. He was such an inspirational leader and friend to all of us; always positive, encouraging and nurturing, not to mention calm and considered in moments of pressure. Pierre was the main reason Woodbridge was such a joy and why we all kept coming back. Years later, while my fiancé and I were planning our wedding, we both felt Pierre would be an excellent master of ceremonies. And so it proved. 5. Woodbridge School, July 2006. The yearly quiz was always a good laugh and a great opportunity for me to sneak in questions about my favourite music and films. Each time we made a real show of it, with yours truly as host, James on DJing duty and the girls all dressed up as waitresses to serve the students their quiz papers. For my final Woodbridge session the enigmatic Mr. Mark Epstein was in town, which invariably meant extra shenanigans. Right enough he’d barely been on campus a few minutes and was already shoehorning me into a British pantomime style quiz. Before I knew what was going on I was bumbling onstage like Norman Wisdom’s long lost grandson. Sporting a curly blonde wig and oversized trousers, with a pair of kitchen saucepans hanging from my jacket, I suppose I had to be at least a little relieved that Mark had gone for the red dress! For a deeper insight into one of those magical Woodbridge summers, check out my short story Car Crash Girl Part I. You can also leaf through more My 5s from around England. Enlightening! – a short story from Beijing, China. love these pics and descriptions. it’s very obvious how much fun this all was. This brings back beautiful memories from those golden summers in Woodbridge. What a delight it was to see this incredibly successful mixture of excellent work and hilarious fun. 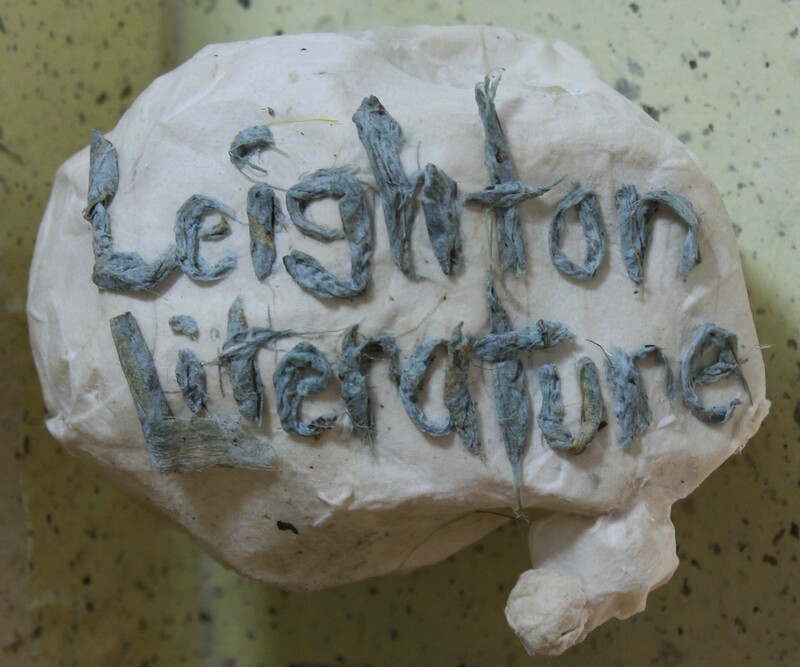 Thank you, dear Leighton, for your very kind words. I was very fortunate to be able to work with extremely creative and generous (in time and availability) young staff like you, Silvie, Mark, Darren, James and so many others. I am eternally grateful.